Leading industrial consultants AV Reliability are already carrying out pipe-work vibration assessment tests for a number of major UK companies in line with the requirements of the latest updated guidelines, published by the Energy Institute in 2008 (ISBN 978 0 85293 453 1). AVT engineers are fully conversant with the necessary test procedures and all-important analysis and presentation of data. 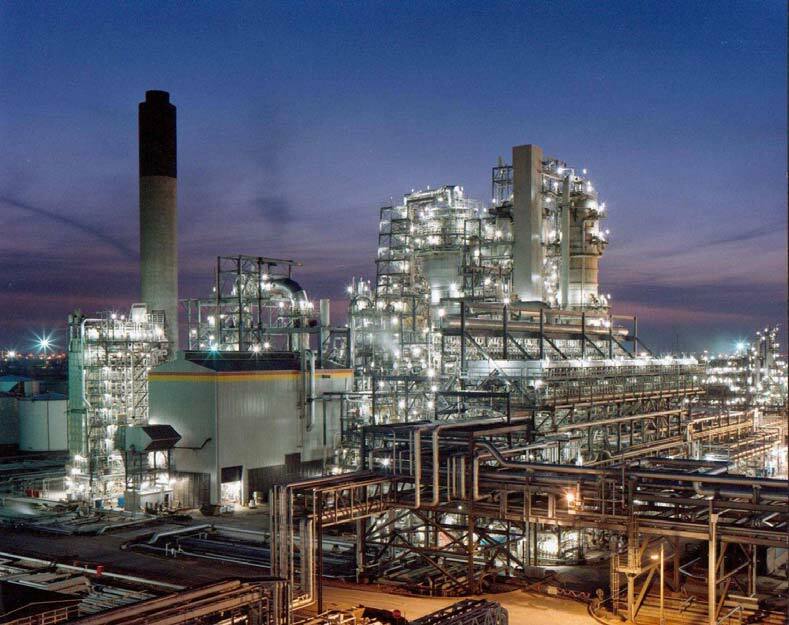 The latest guidelines are aimed at minimising the risk of incurring loss of containment from vibration induced fatigue failures of process plant pipe-work. The document is an enhanced and expanded version of the former “MTD Guidelines” (Marine Technology Directorate) first issued in 1999, which has been a key element in maintaining integrity in the design and maintenance of process pipe-work within the oil, gas and petro-chemical industries. Proactive Assessments, which can be used to routinely assess all pipework (existing or proposed) on a site to ensure that good practice has been adopted and to try to identify possible areas of concern. Reactive assessments, used to further investigate and assess known vibration issues or to trouble shoot actual failures. Some of the sections within the guidelines are further divided into the two main categories of ‘Main Lines’ and ‘Small Bore Connections’. AVT are already carrying out pipework vibration assessment tests for a number of major UK companies in line with the updated requirements. Their engineers are fully conversant with the necessary test procedures and all important analysis and presentation of data. The Qualitative Assessment phase is possibly the most difficult to implement and involves various calculations for assessing the ‘likelihood’ of having a vibration induced fatigue problem on existing or proposed new plant. This assessment takes into account many relevant factors, including: fluid energy, flow velocities, process machinery, types of valves, chances of flashing or cavitation, construction quality and cyclic operation. The assessment includes a calculation process for scoring likely ‘excitation’ factors and ‘conditional and operational’ factors, which are then combined to predict the ‘Likelihood of Failure’ for each pipe branch. The Visual Inspection phase is a quick yet powerful way to spot many obvious potential ‘areas of concern’. It is a fact that many pipework vibration problems are simply the result of operators not following recommended good practice. These include installing effective pipe supports, bracing SBC's properly, avoiding fretting, repairing poor condition or damaged supports, avoiding poor geometry and allowing for thermal expansion of tubing, The Energy Institute guidelines give many good quality photographic examples of good and bad practice. The basic piping vibration measurement phase provides a simple method of identifying areas of concern based solely upon measured values of pipework vibration. This is an area which falls within AVT’s mains areas of expertise and involves experienced engineers visiting sites with suitable instrumentation to measure and analyse vibration data. Initial vibration levels are typically recorded using a single axis accelerometer connected to a portable data collector, with required frequency measurements ranging from 1 Hz up to 300 Hz. The results are presented as vibration amplitude (in units of RMS velocity) versus frequency. 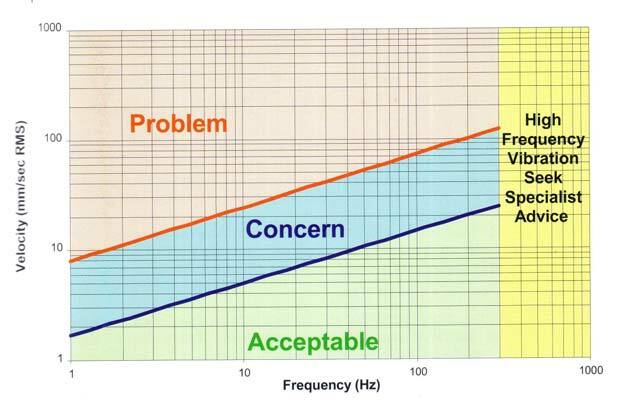 By comparing these measurements against vibration assessment criteria presented in the guidelines, the vibration is classified into one of three categories: Acceptable, Concern or Problem. AVT have years of cumulative expertise in many of these specialist techniques, specialising in the provision of expertise and resources to apply sophisticated tools and analysis methods in order to provide a more detailed assessment of the dynamics of specific pipelines throughout their life cycles. A high percentage of the work carried out by AVT is concerned with the onsite measurements of dynamic strain and vibration data using multi-channel instrumentation systems, together with the analysis and assessment of the measured data, including fatigue life analysis. Implementing more effective SBC bracing. Modifying process conditions to reduce fluid loadings. Installing pulsation dampeners and viscous dampers. The design of practical and appropriate corrective actions is important to achieve cost effective yet practical solutions. Such work is often supported by AVT’s in-house FEA capability, which is particularly useful for predicting the effects of remedial repairs. Mechanical design of supports is performed using AVT’s SolidWorks 3-D CAD software. “Our strengths in predictive and condition based maintenance, together with those in structural monitoring and vibration assessment, provide the perfect knowledge base for delivering a comprehensive service for vibration induced fatigue projects. Vibration in pipe-work can be affected by a number of direct and indirect factors relating not just to the pipe-work itself, but also adjacent support structures and buildings. It is therefore vitally important to provide clients with a comprehensive overview of the vibration patterns together with constructive improvement recommendations. 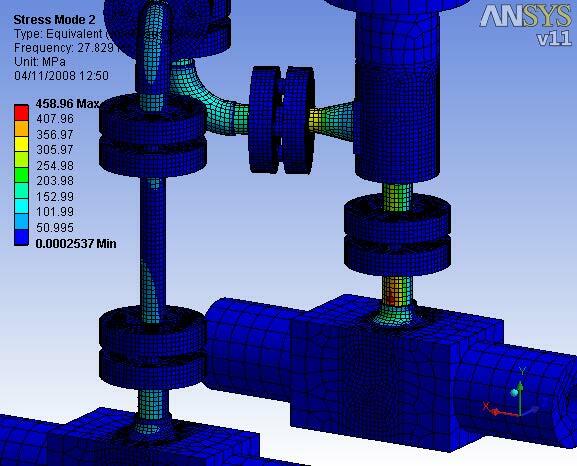 Strain gauging and FEA are powerful tools in the analysis process. Although these are often perceived as distinct, alternative technologies for assessing structural integrity, AVT have long recognised the increased power of combining practical strain gauge work with theoretical Finite Element Analysis (FEA).to give us a distinct competitive edge. Whilst FEA models can produce important predictions of stress, displacement and frequency, often actual in-service loading conditions are unknown and so results can be highly unreliable unless validated using actual in-service data such as strain measurements.